8730 Sunset as the King’s Club, 1935. The King’s Club was popular with the movieland celebrity crowd, many of whom were present when it was raided by Sheriff’s vice squad deputies on May 13, 1934 for liquor violations. George Rangold was its asserted proprietor. In March 1935, the Kings was one of several prominent Hollywood clubs, including the Trocadero, to face hearings on the possible loss of their liquor licenses for disregarding the state 2a.m. closing law. 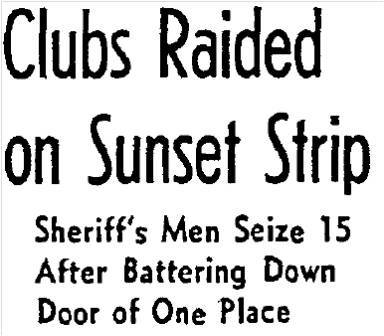 Kings and the other prevailed but on September 1, 1935, patrons were both “alarmed and amused” when it was raided again by the sheriff’s men for selling booze after hours. Bruce Knox, the asserted owner, was arrested. By May 1936 it had become Jane Jones’ Little Club, still popular with the film-crowd and still being raided on occasion. 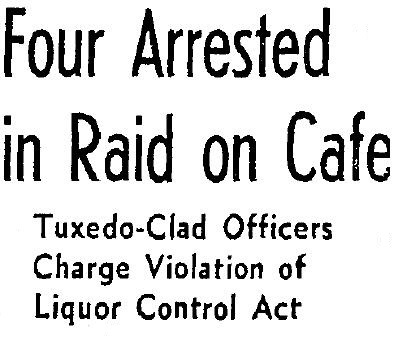 On September 2, 1939, sheriff’s deputies, wearing tuxedos to blend in with the well-dressed crowd of 50 patrons, slipped in quietly and arrested Jane Jones herself and co-owner Raymond P. Babcock for violating the 2 a.m. closing. Dep. Sheriffs Capt. 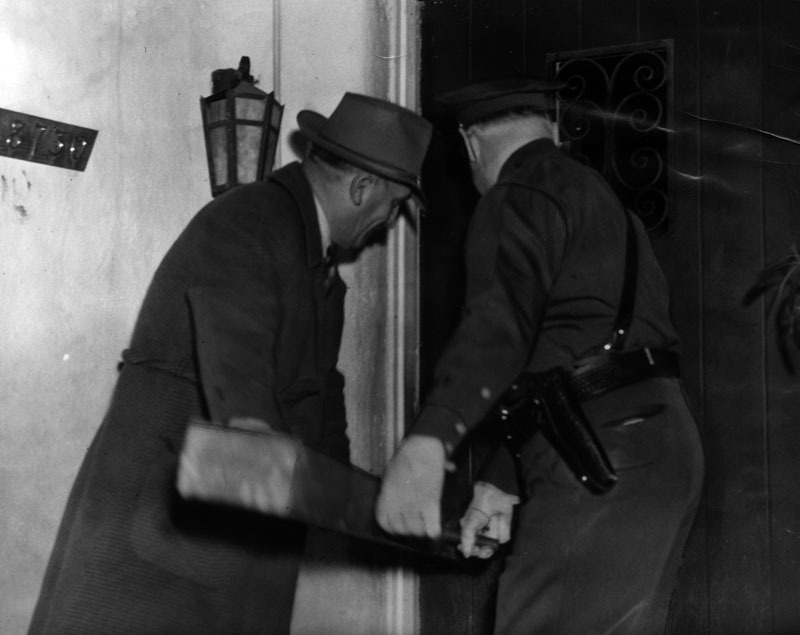 Joe Vigneau and Al Wolff breaking down the door of Club Marcel, 8730 Sunset Blvd, in an early morning raid November 27, 1941. LAPL (misdated September 27). 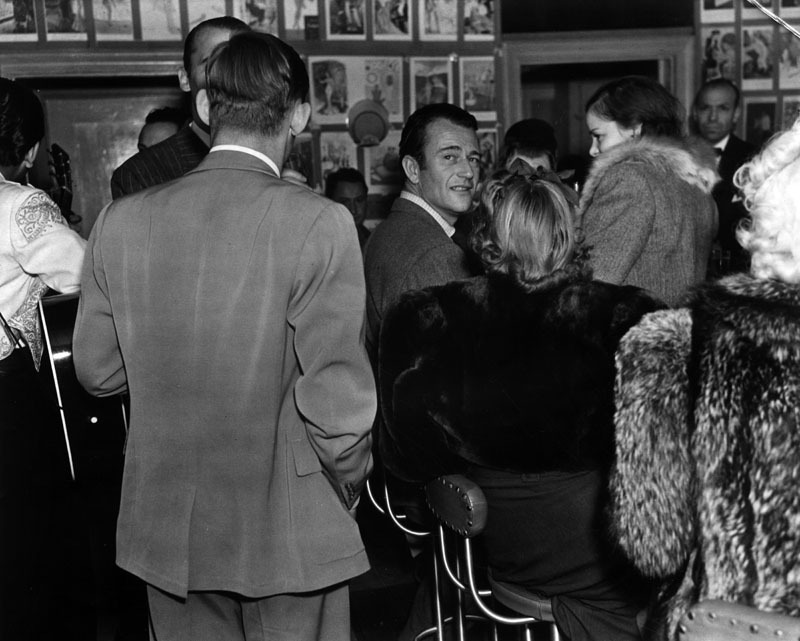 Fashionable and celebrity patrons of Club Marcel, 8730 Sunset Blvd, during an early morning raid November 27, 1941. Not only did officers have to break down the door, they were also confronted by combative drunken patrons. One young woman attacked deputies and newspapermen with “clawing fingers and well-aimed high kicks, displaying a shocking lack of ladylike manners and underwear.” LAPL (misdated September 27). Things simmered down at 8730 after that. In 1961 the new Continental Bank building was constructed on the site. 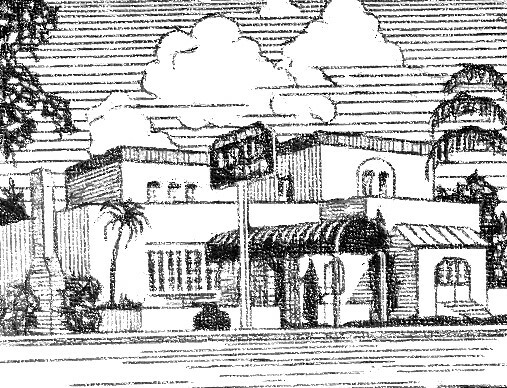 (1) In 1929 Gordon and partners had briefly operated a gambling club in the former home of the late Wallace Ried, at 8300 Sunset Blvd. 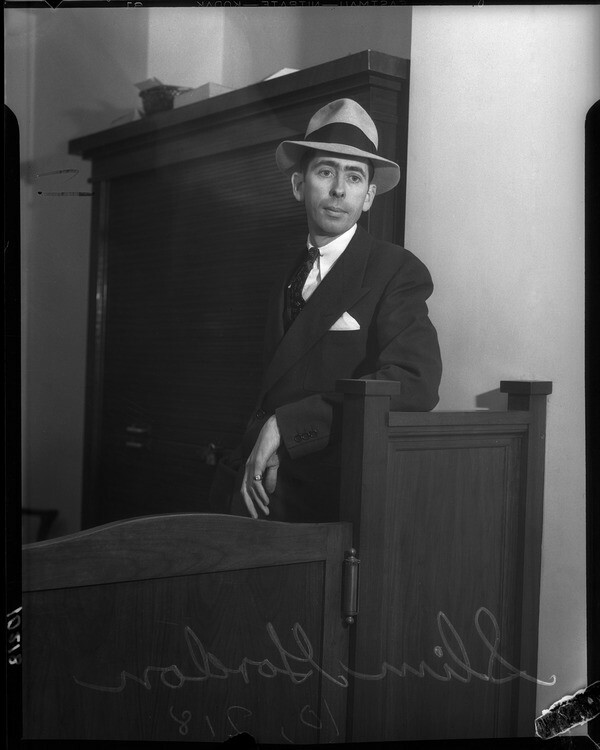 In 1930, he was running the Cortez Club at 8428 Sunset Blvd. with George “Les” Bruneman.